Kids are not known for their self-control. When I was little, if given the chance, I would gorge myself on Swedish Fish—or, more often, Wha Guru Chews, the health food–sanctioned candies my mom actually allowed me to eat. And whenever I sat down and started reading, I couldn’t seem to stop. Especially when I was supposed to be doing my chores. 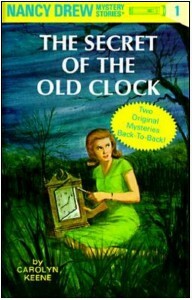 For a brief, heady time when I was seven or eight, my book binge of choice was Nancy Drew. Of course, it’s a natural human instinct to want to know whodunit. But there was something more that kept me coming back. 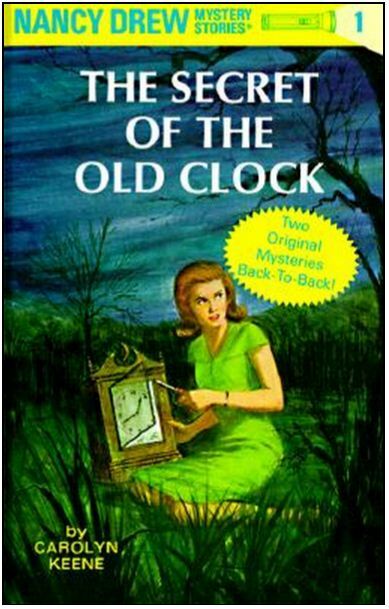 Nancy Drew was my first experience of reading not just as a bedtime activity that could delay my inevitable war with insomnia, or something done in school for a grade. But rather, reading as an enchantment, reading as an almost narcotic compulsion so pleasurable it could make time and space disappear, reading as a perfect hideaway. But I intuitively understood new books required two things we didn’t have in abundance in the 740-square-foot house my mom and stepdad built for us in the woods of mid-coast Maine: money and space. Not to mention that the nearest town, which was eight miles away, wasn’t even big enough to have a bookstore in those days, and it was a thirty-minute drive from our house to the closest Bookland. Thankfully, my mom—later a librarian herself—was more than happy to helm a weekly family outing to the library, where I could borrow all of the delicious Nancy Drew books I could want. The library was brilliant because it made it possible for me to read as much as I could without any need for restraint. There was no better feeling at that age (besides eating candy) than carrying home a teetering stack of the bright yellow hardbacks containing Nancy’s adventures. While many other girls of my generation found Nancy prissy and remote, I was actually drawn to her because she was everything I was not. My days were spent helping to stack firewood for winter and weed our organic garden, or playing outside with the other kids from the intentional community where I grew up. I was usually dressed in sundresses or shorts sewn for me by my mother, my hair snarled, my nose heavily freckled. I read so much—at least in part—to escape my longing for my taxi-driving, enlightenment-seeking father and a big, sparkly life with him in the faraway city of Boston, where he lived and I wanted to live, too. Nancy was blond, freckle-free (of particular import to me at that age), enterprising, and highly competent in all areas of life, including many exciting leisure activities I’d never had any exposure to—from horseback riding to motorboat captaining. She was well-dressed and neatly coiffed at all times, and she and her best friends George and Bess always seemed to be having the loveliest picnics when they weren’t off solving crimes. I was afraid of the dark. Nancy was brave. She had freedom of motion and drove a cute little roadster. I was barely athletic enough to ride my bike a mile to the nearest village in search of those verboten Swedish Fish, let alone get myself down to Boston to see my father after he’d once again canceled a promised visit. Perhaps most enticing of all—although I wouldn’t have thought to make the connection at that age—Nancy lived with her father, a successful and respected lawyer who often gave her guidance and support and was everything my father was not. When I was reading Nancy’s books, I didn’t have to think about anything her life contained that my life didn’t. I was too busy doing my best to solve the mystery, and therefore getting to feel what it was like to walk in Nancy’s fashionable pumps for a day. I truly loved everything about her books, from The Secret of the Old Clock to The Clue in the Diary, being young enough to never find them hokey, and loving them even more because my mom had also read them as a girl, and I thought of her as beautiful and good at everything, and so it seemed like a step in the right direction for me to read them, too. We did have some of Mom’s old girlhood hardbacks at the house. But the problem was that I tore through these, and all the other books we had, too quickly. That’s why the volumes of Nancy Drew I took out of the library were so critical to my childhood happiness and my early love of reading, which soon became my ongoing love of writing, which eventually formed the heart of the person I am today. Plus, I’m convinced I could still pick a lock with a bobby pin if I’m ever trying to outrun an international smuggling consortium, and I’ve definitely got Nancy to thank for that. Sarah Tomlinson’s father-daughter memoir, Good Girl, will be published by Gallery Books on April 21. Find her online at www.sarahtomlinson.com or @duchessofrock.